This beautiful bird house is the perfect modern accent for any blooming outdoor space. 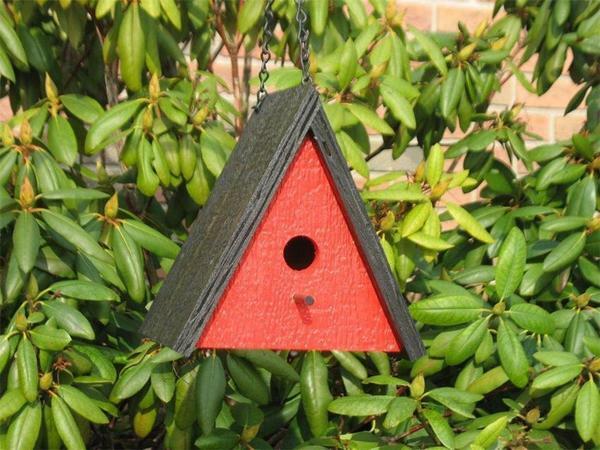 Its handcrafted, solid wood construction promises season upon season of season of brightness and enjoyment both for you and for the feathered friends sure to call it home! Choose from the color menu above to find your perfect shade. If you'd like to know more about this bird house, please give us a call or an email - we would love to hear from you.